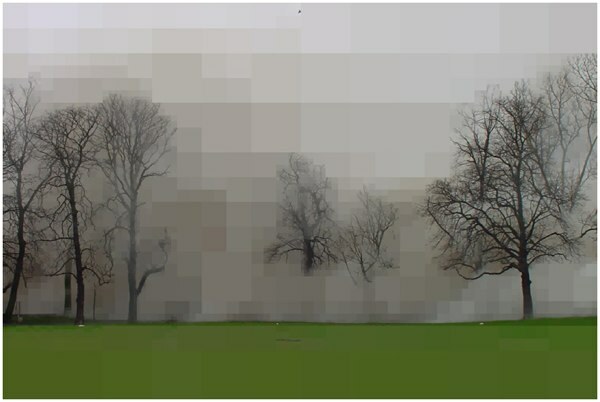 Artist Jörg M. Colberg creates images that are compressed with a customized jpeg compression scheme. ajpegis a new image compression algorithm where the focus is not on making its compression efficient but, rather, on making its result interesting. ajpeg is intended to go the opposite way: Instead of creating an image artificially with the intent of making it look as photo-realistic as possible, it takes an image captured from life and transforms it into something that looks real and not real at the same time.